I return to you people from air-cooled Volkswagen Project Car Hell, only to find Hagerty’s video of a Beetle engine getting re-built. It looks so simple! It’s such a tiny engine! Everything fits together like Legos! HA! The camera lies. 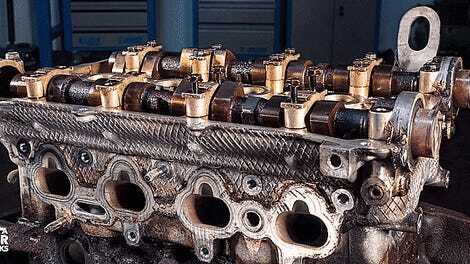 Either way, watching this engine get completely torn down and rebuilt is weirdly satisfying. This video is giving me bad flashbacks of the month I spent thrash-swapping the pistons and cylinders on my Volkswagen 411 and we didn’t even crack open the case. Brazilian parts! Questionable repairs from previous owners! That ache in my middle finger from where I smashed it on top of my passenger-side pistons! OILY GRIME. 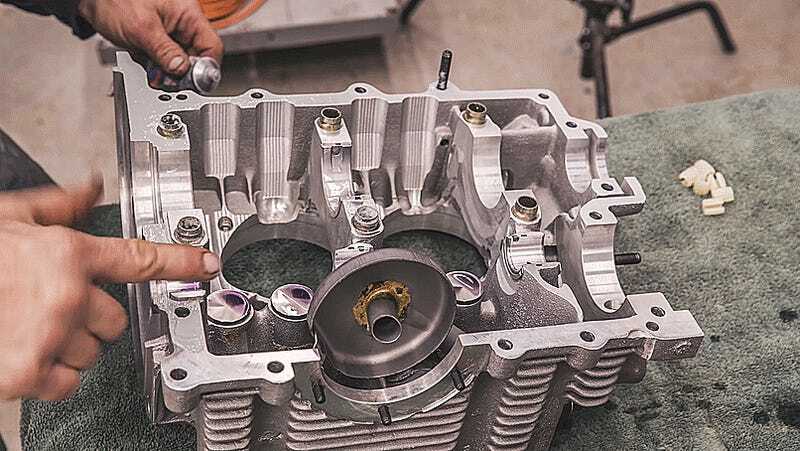 These guys tear down the entire Beetle engine as their original magnesium crankcase is toast, and make it look way too easy by having all the right tools just—there. When you try this at home, there will be much more kludging together of cheap tools into something that kind of works and far more time spent confused by Some Guy’s too-wordy digression of a tutorial. Don’t let anyone tell you that rebuilding an old Volkswagen Beetle engine is easy. After countless hours of work, some busted knuckles, more than a few trips to the parts store, some heavy-duty Googling, and another 30,000 photos, we present our seventh Redline Rebuild time lapse video. Our 1972 Beetle trudged 2,500 miles from Portland, Oregon, to Traverse City, Michigan, in the middle of a frigid January. It has led a hard life, with a hodge-podge of parts from various years and some obvious mechanical and cosmetic shortcuts taken over the last five decades. An air-cooled engine is one of the easier rebuilds to tackle, especially for a Beetle where parts are far more plentiful and there’s a healthy aftermarket full of upgrades and know-how. But it’s still a rebuild. I will forever stare at videos like this in awe because they make it look way too easy.